In just a few months, this sweet pair will be sharing vows in San Diego. 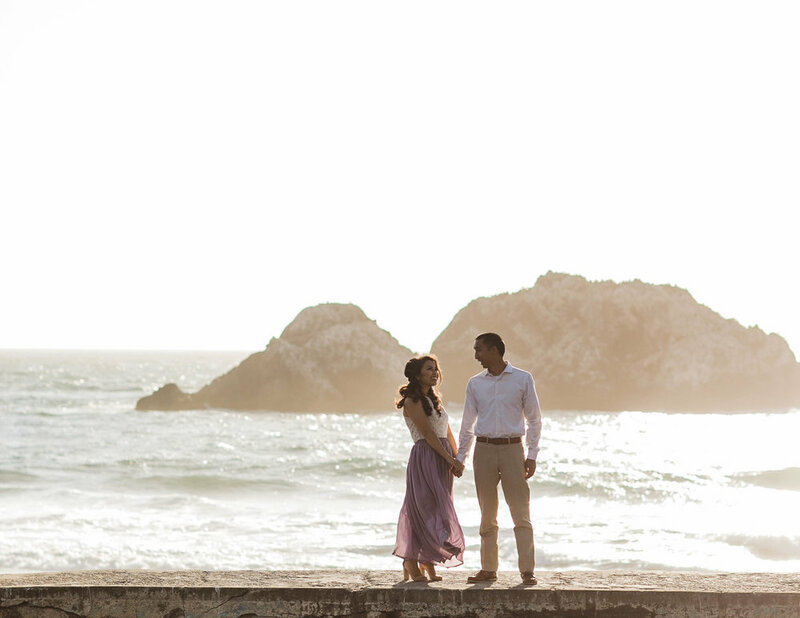 Since Brian and Michelle are from the Bay Area, they wanted to make a weekend of it and do an engagement session in San Francisco. We all knew enough about SF microclimates not to be terribly surprised when we found thick fog in one location and bright blue skies in another. The light through the trees at Lands End was simply magical, but a smiling corgi in a bowtie, well, that's what the tourists stop for.